The time is finally here for my annual list of favorite sites of the year. This year I decided to up my post to the top 100 instead of 25 because of the number of sites that I reviewed and the popularity of the post. I tried to cover a wide range of sites, from flash-card creators to digital storytelling, and of course social networks, which really stood out in 2011. I hope everybody enjoys the list and has as much fun reading it as I did creating it. 1. Conduit Mobile: Without a doubt the coolest, most innovative site i came across this year. ideal for bloggers, Web designers, and schools in one-to-one environments looking to create a great-looking mobile app free (could be a great way to share news or homework in a mobile environment). 2. Gnowledge: One of the best collaborative quiz/test-creation sites around. this excellentlooking site should be a mainstay for years to come. 3. 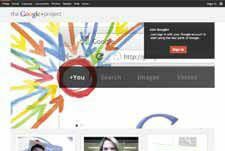 Google+: A great social network and alternative to Facebook. It really shines with its control and visually stunning video-chat (hangouts) features. 4. WatchKnow: An excellent place to find free educational videos for students. An easy site to navigate, as everything is categorized by subject and rated for ageappropriate levels. 5. muvee Cloud: A redesign of the popular video/presentation site shwup. easy to use, has a nice, polished look, and is great for creating projects with photos and videos. Best of all, muvee Cloud is free to educators and students. 6. StudyBlue: A great site for making flash cards and notes. Also, because of its newly designed mobile app, it makes studying a treat because you can study anywhere, anytime. 7. YouTube Teachers: A wonderful site designed to help teachers use educational videos in the classroom. 8. PrimaryWall: A site similar to Wallwisher, designed and built for schools. A paid account filters the “walls” (interactive bulletin boards), which are easy to create. Also, there are lots of free educational resources to use for lesson plans and ideas. 9. Skype in the classroom: Designed for education, this site brings together teachers, projects, and resources from around the world. It is also a free site intended for videoconferencing and global learning. 10. TXTNLRN: An innovative site that teaches through text messaging. Even enrollment is done via a text message. it’s great for those wanting to learn at their own pace and try something new. 11. Webspiration Classroom: A wonderful site designed for grades five through 12 by the creators of inspiration. Ideal for collaborating, brainstorming, and creating outlines with a Web 2.0 interface. 12. PikiFriends: A great site where students can learn Web 2.0 skills through communicating with online pen pals in a safe, filtered environment. Teachers have lots of control over student accounts, and an abundance of resources show how to implement PikiFriends in the curriculum. 13. BoomWriter: A unique site on which students can collaboratively write online in a safe environment. 14. Sophia: A new (beta) social network for education. Lots of great features can be found here, such as free lesson plans, private group (study) creation, and online tutoring. 15. PlanbookEdu: A great site/app for creating lesson plans on the Web. More features, such as attaching files and embedding in a site, are available with a paid account. 16. Little Bird Tales: A site that has been getting quite a bit of press lately for digital storytelling. Great for elementary students looking to create a story, add their artwork, and even record their voices. 17. SoundCloud: An innovative site for creating, recording, and sharing audio/sounds for free. An ideal way to share, embed, and document lessons and lectures. 18. Springo Kids: A fun visual search engine for kids that gives results in thumbnails. 19. SlideRocket EDU: A great site for creating stunning presentations for schools. 20. GameUp: A fun site from the creators of BrainPOp. Educational games are focused on BrainPOP’s popular animated lessons. 21. APPitic: A terrific site for finding educational apps. There are more than 1,300 apps reviewed by Apple Distinguished Educators. 22. UsefulCharts: A wonderful collection of charts on any number of subjects. 23. Much Enough: An excellent site on which educators can teach any subject online via webcam and charge what they want. 24. iCharts: A great site for creating an online interactive chart either from scratch or from a spreadsheet. 25. Tabblo: A nice site created by HP for digital storytelling. Finished projects can be shared with others or viewed in a slide show. 26. Studyladder: One of the fastest-growing sites around, this site offers lots of educational resources, such as games, work sheets, and lesson plans. 27. Story Something: A fun, interactive storytelling site on which kids can read along with stories and interact with them. 28. NBC Learn: More than 10,000 current event and his toric videos and resources aligned to state standards and mapped to K-12 curriculum. 29. ClassParrot: A safe way for teachers to text students, allowing parents to opt-in as well. 30. Study Stream: A wonderful site for learning a foreign language by using videos, articles, and blogs. 31. Paper Rater: A free site that checks grammar and spelling, proofreads, and looks for plagiarism. 32. WebSlides: A site powered by Diigo that turns bookmarks into an interactive slide show. 33. Kideos: Great for finding videos that are safe for kids and abide by COPPA, this site organizes videos by age level. 34. WhoTeaches: A new (beta) network designed to bring students, parents, and educators together through collaboration and the ability to share documents and create groups. Also offers high-level education for online learners looking for tutors or to study. 35. Weaving History: A new site that is great for making timelines based on history. 36. Lesson Writer: A nice site for teachers to use to create lessons and save them online. 37. ProProfs: A great all-in-one site for education that enables users to create quizzes, flash cards, polls, etc. 38. SlimeKids: A fun site that has lots to offer elementary students, such as book reviews, games, and trailers. 39. Quicklyst: A cool site for taking notes and studying on a mobile device. 40. EmbedPlus: An innovative way to edit YouTube videos. It’s like having DVD controls at your fingertips. 41. BetterLesson: A free social network that is ideal for educators. Thousands of resources can be found here, and instructors can collaborate to find out which teaching strategies work best. 42. Knovio: A great site for making slide shows by syncing audio to a PowerPoint. ideal for those who like to create Pecha Kucha presentations. 43. Word Hippo: An excellent online dictionary and translator. 44. Conceptboard: An ideal site for creating an interactive whiteboard with many features, such as screen capture and mobility. 45. Mind Leap: A great site for finding and reviewing educational apps for pre-K through middles school using a five star system. 46. Big Marker: A free Web conferencing community that is ideal for educators and students. A great place to create a private room for collaboration and document sharing. 47. Pikikids: A fun site for creating online digital comics. 48. Quizilla: A terrific site where kids aged 13 and older can create and share quizzes, stories, poems, and polls. 49. StudyShuffle: A wonderful site for creating flash cards that permits student tracking. 50. Diipo: A wonderful new (beta) social network similar to moodle and gaggle. This network prides itself on being social networking for “your” class. This enables teachers and students to not only “collaborate” with themselves online through texting and blogging, but collaborate with others as well. 51. Tutor Hub: A community in which students can find online tutors who set their own rates. 52. Fraboom: A free online museum that has lots of fun features, such as interactive books and games. 53. JellyCam: A free download for making stop-motion animation on a Mac or PC. 54. Study Stack: A excellent site for creating flash cards and studying with educational games. It has a nice mobile app as well. 55. aMap: An interesting site to create “argument maps” (debates) with a simple visual format, and then embed them in a Web site. 56. Everloop: An excellent social network designed to teach students to network appropriately. ideal for education, as it is monitored by parents and supported by organizations such as i-safe. 57. Photoshow: Create stunning slide shows with this easy-to-use site. 58. WeVideo: A great site for creating collaborative videos. 59. Learnboost: An excellent free online gradebook similar to PowerSchool. Not only can a teacher complete grades online, but there is student tracking, Google Apps integration, lesson-plan creation, and more. 60. ClassDojo: Bring old-school verbal feedback into the 21st century with this nice online behavior-management system. 61. 19Pencils: An ideal site for creating quizzes and web sites, along with student tracking. 62. Popplet: A graphic organizer that is great for brainstorming and creating mind maps, outlines, etc. 63. StudyBoost: A great way to study using a mobile device. 64. VuSafe: A wonderful way to show pre-approved videos in a safe environment. Also works nicely on mobile devices and is CIPA-compliant. 65. Huffduffer: A great site for creating podcasts from audio links from around the Web. 66. Yacapaca: An interesting site free to students and teachers. Ideal for online assessments, it allows teachers to create quizzes, surveys, and more. 67. slidestaxx: An excellent site for creating beautiful social-media slide shows. 68. FreshBrain: A neat site on which educators and students can create technology projects, such as a game or YouTube video. 70. iGradePlus: A nice online grade book that has lots of features, such as attendance, grade management, and parent notifications. Also, the price varies according to which features suit your needs best. 71. Desmos: A cool new site for creating interactive lessons. 72. K12 Advantage: A wonderful site for finding educational resources, built on a social network for collaborating and sharing. 73. Story Time For Me: an excellent site for grades K–2 on which professional actors read interactive stories to kids. 74. Webdoc: A cool new (beta) site for creating multimedia-like blog posts with comments. 75. Faux Flash: A great site for creating flash cards and studying. Also, you can browse through lots of study decks on a number of subjects. 76. Study Egg: An innovative site for helping students learn a given subject. 77. edWeb: A wonderful social network in which educators can browse through webinars they may want to attend. 78. Learn 360: A cheaper alternative to Discovery Streaming. Ideal for streaming/downloading videos, creating digital content, etc. 79. FunnelBrain: A great site for creating flash cards and quizzes and then joining teams for studying. 80. ASCD EDge: Am educational social network with more than 25,000 members. Members can create their own blogs and share news via a real-time news feed. 81. Memidex: An excellent free online dictionary and thesaurus. A nice place to find out the origins of words and other interesting facts. 82. Tiki-Toki: A wonderful new web app for creating stunninglooking time lines. 83. CK-12: A great site for free digital textbooks aligned to state standards. 84. PodOmatic: An excellent site for creating podcasts and adding audio via itunes. 85. Schoology: A content-management system similar to moople and moodle. While this is a free site, a paid subscription gets users more features. 86. Fish Smarty: A terrific new site for online learning through games, digital comics, and coloring. there is also an education portal that is ideal for student tracking. 87. Plagiarisma: A great site for checking to see if an item or document is being plagiarized. 88. TeachAde: A social network designed to enable instructors to share educational resources. 89. Timesearch: An innovative site for searching for events on a timeline. A great site for history teachers and students looking for specific events . 90. Grockit Answers: A cool new (beta) site for interacting with educational youtube videos. This is done by creating a public or private questionand- answer session on a video’s page. 91. Projeqt: A user-friendly site that is great for creating nice visual presentations. 92. Present.Me: A wonderful site for uploading a PowerPoint presentation and then adding a narration. The finished product shows both the presentation and the narrator, in side-by-side windows. 93. Moople: A nice site designed to help educators and students with online learning. Users of Moodle and Blackboard should have a feel for what this site is all about. 94. Scrumblr: Create a fun interactive whiteboard with online sticky notes. 95. Smore: A site for creating interactive posters and flyers. 96. ThumbScribes: A new (beta) site for creating collaborative digital stories about a number of things, such as poems, stories, and songs. Once a piece has been created, it can be voted on by other members. 97. DrawIsland: One of the better digital-art sites around. Lets a user create a custom drawing and even animate it. 98. Dweeber: A social network designed for students looking to collaborate on homework. 99. Catch: One of my favorite new sites for taking notes. Enables a user to capture anything on a site, such as text, audio, and photos, and then share with others. Ideal for those with mobile devices. 100. Ptable: A wonderful interactive periodic table. Displays all the elements and links them to wikipedia, which makes it handy for studying.